How many times have you heard of the coyote attacking a child or a pet lately? Lots! Coyote attacks are on the rise all across the nation. This trend will only increase as the numbers of coyotes increase and humans encroach on their territory. Attacks generally increase during the spring when females are raising their pups. The fall and winter also see an increase as food supplies dwindle. 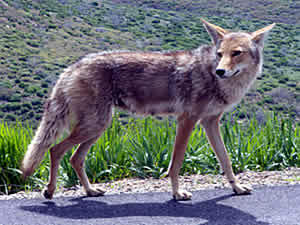 Cats and small dogs are often a target of a coyote attack due to their lack of ability to resist the attack. You don’t have to live in fear for your children and pets. There are ways to control coyotes whether they are in the city or country. Our coyote control experts will protect your family, business or pets with coyote control programs.